It seems as if coeliac / celiac disease is not well known in France. 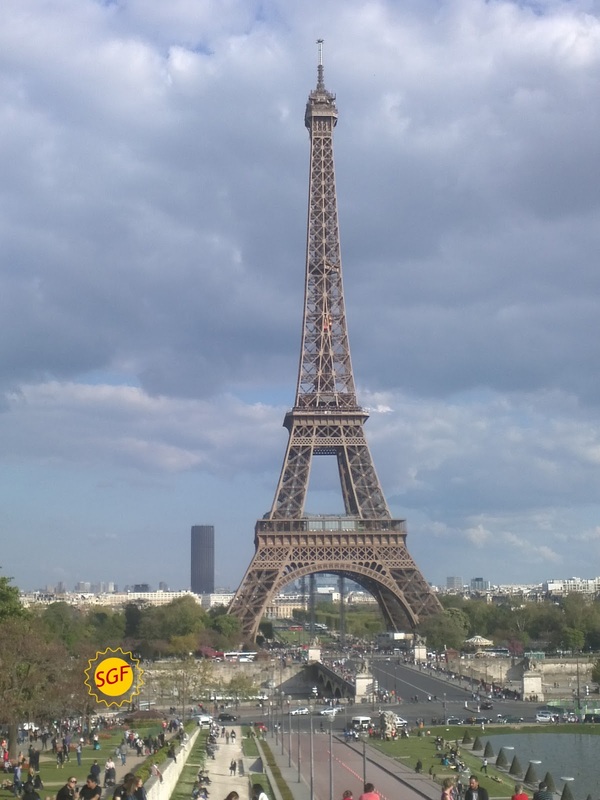 Although you can buy some GF products in big supermarkets like Carrefour, Monoprix or Auchan or small specialized shops like Naturalia, it is not easy to find GF friendly restaurants. 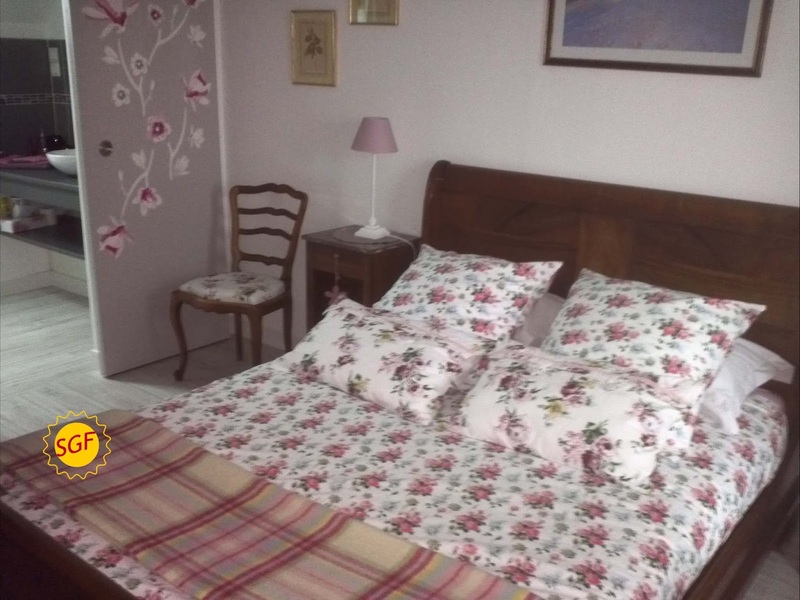 Other popular option is Gîtes de France: you can rent a house or stay in a bedroom only for bed and breakfast (chambre d’hôte). But at the end you need (or want) to go to a restaurant. Most of the restaurants I found with GF dishes or menus are vegetarian, vegan or bio (organic). 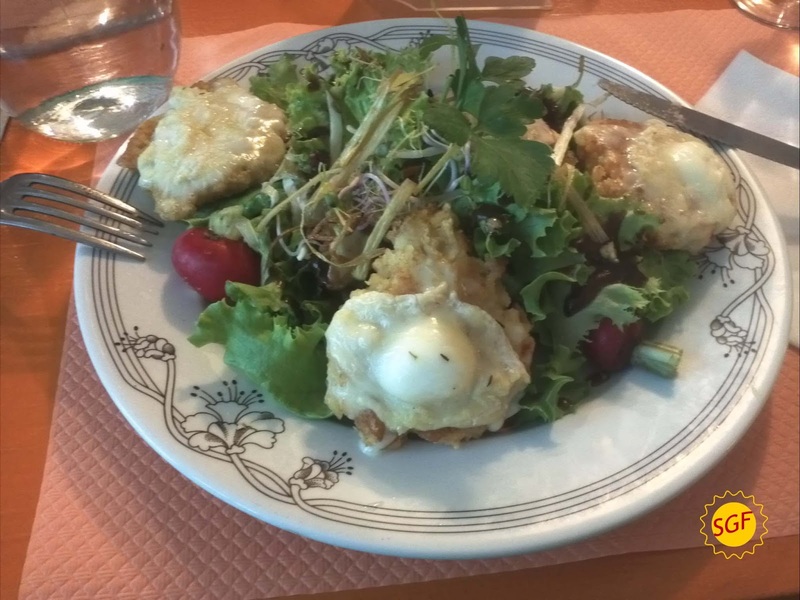 It is quite difficult to eat GF traditional French cook. 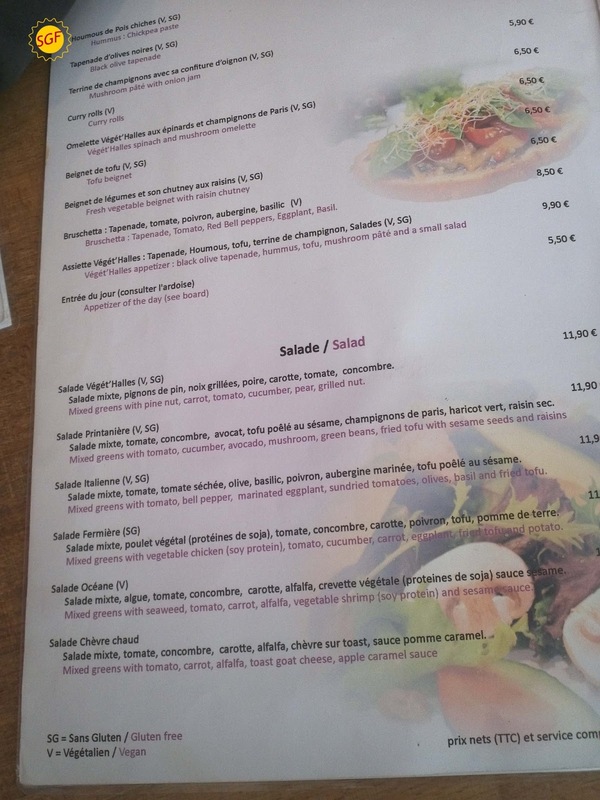 Menus are not cheap in France, but at lunchtime you can find formules in many restaurants. They consist on different combinations of a starter, a main course and a dessert, and they are value for money. Rendez-vous: 27, Rue Coureau in St André De Cubzac. Open Monday to Thursday: 7am – 5pm, and Friday: 7am – 3pm. Homemade food, you can have a drink, a sandwich or a full meal in the restaurant or take it away. They know well gluten-free diet and the treatment is pleasant. 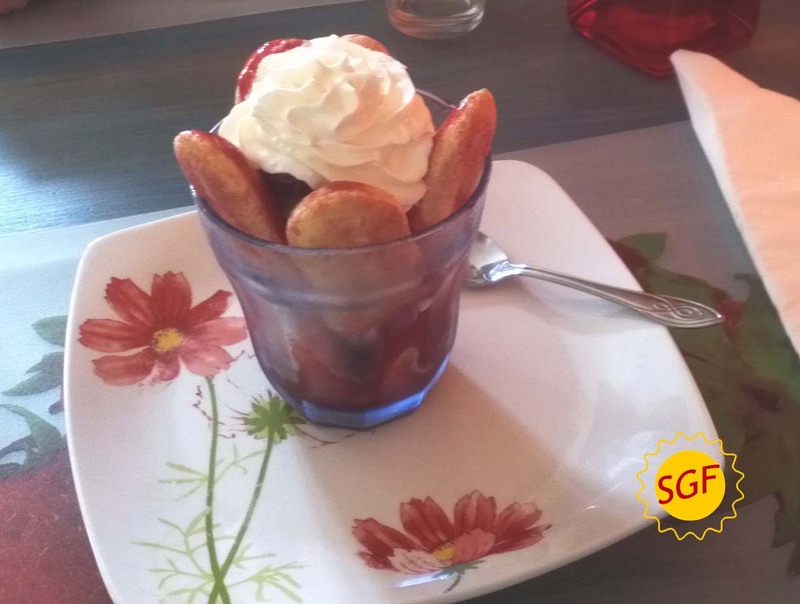 Formule: starter + main course + dessert = 10,5 €. Le bonheur est dans le Thé: 7, rue Carnot Impasse Saint Nicolas in Poitiers. This is a tearoom and restaurant where many of the dishes are organic and some of them safe for celiacs. Formule: main course + dessert = 15 €. Saveurs Véget'Halles: 41, rue des Bourdonnais, 1er arr. Open Monday to Saturday, for lunch and dinner; Sunday closed. Nice vegetarian restaurant. Vegan and gluten-free dishes are marked in the menu. Formule: starter + main course or main course + dessert = 15,90 €; starter + main course + dessert = 18,90 €. Qualité & Co: 7, rue du marché St. Honoré, 1er arr. ; 4 rue de Choiseul, 2ème arr. ; 37 rue de Berri, 8ème arr. Open Monday to Friday: 8:30am – 6pm, and Saturday and Sunday: 11am – 6pm. It is a healthy fast food chain where you can eat salads, fruits, legumes. All the ingredients of the dishes are detailed and GF are labelled, so it is easy to choose. Formule: Big salad + dessert + drink = 10 €. Café Pinson: 6 rue du Forez, 3ème arr. Open from the morning to afternoon (to 11:30 from Thursday to Saturday). Lovely restaurant, almost everything is vegetarian or vegan. Fresh, homemade meals. Gluten-free dishes are marked. There are two starters and two main courses to choose in the menu. Formule: starter + main course or main course + dessert = 15 €; starter + main course + dessert = 17 €. 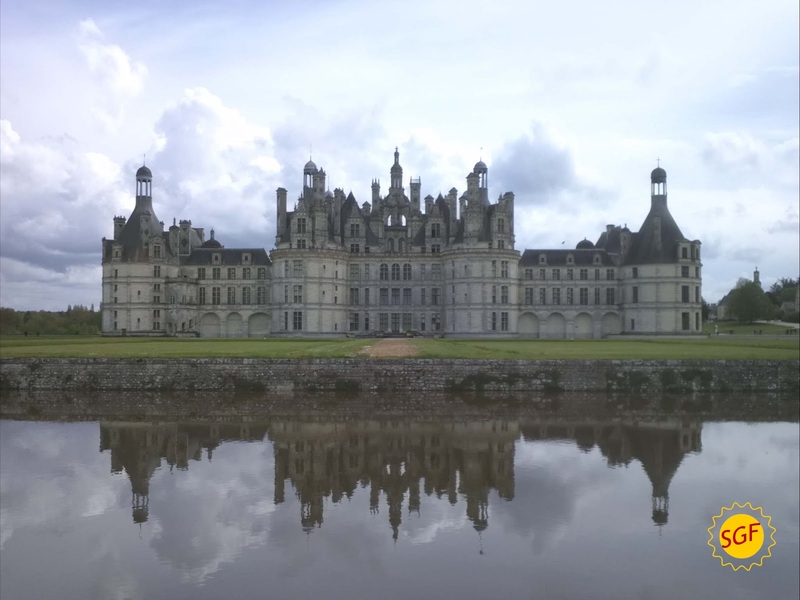 5ème arr. Open Monday to Saturday, for lunch and dinner. 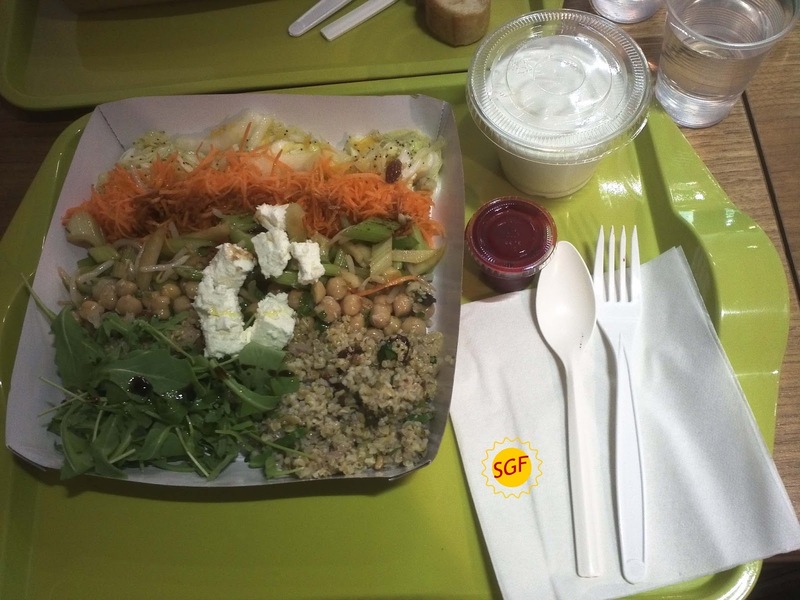 Healthy fast food chain similar to Qualité & Co, you can eat salads, rice, chicken… everything natural and homemade. GF options are labelled. Formule: 10 €. Grom: 81, rue de Seine 6ème arr. Italian ice - cream shop. The ice-creams are artisan and made with organic ingredients. Most of them are gluten-free. They are delicious. Price: From 3,70 €. Un dimanche à Paris: 8 cours du Commerce Saint André, 6ème arr. 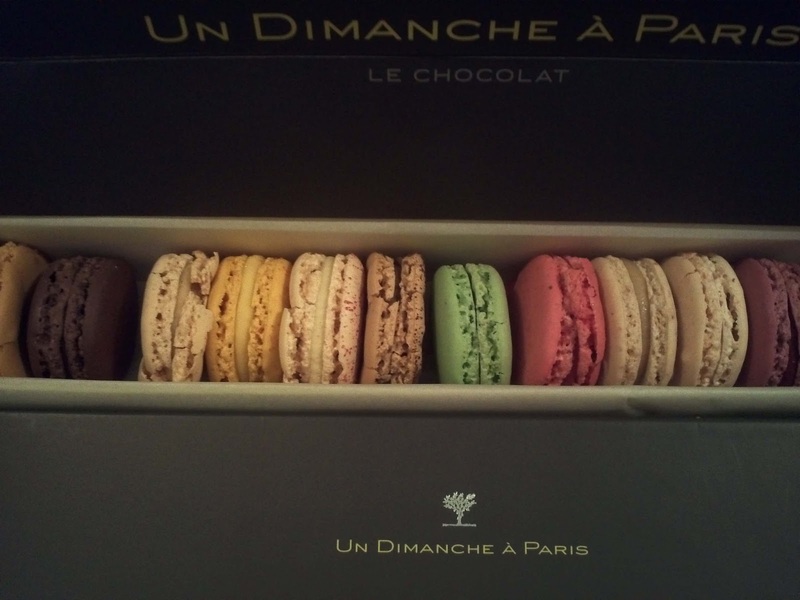 Elegant bakery where you can buy the famous macarons. Not cheap but very good quality. 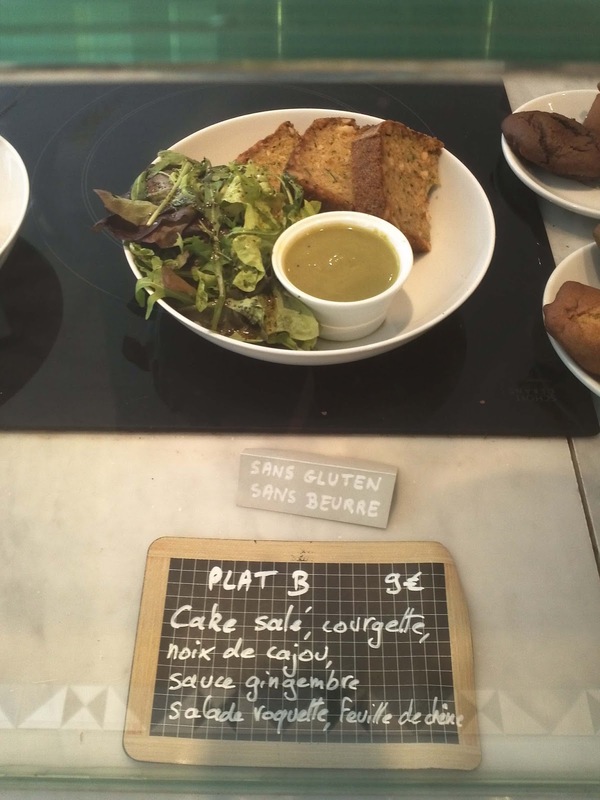 There is also a very nice place to have an organic gluten free meal in Paris called Bio Sphere Café. Eating in the city of fregrances.. woow exciting.